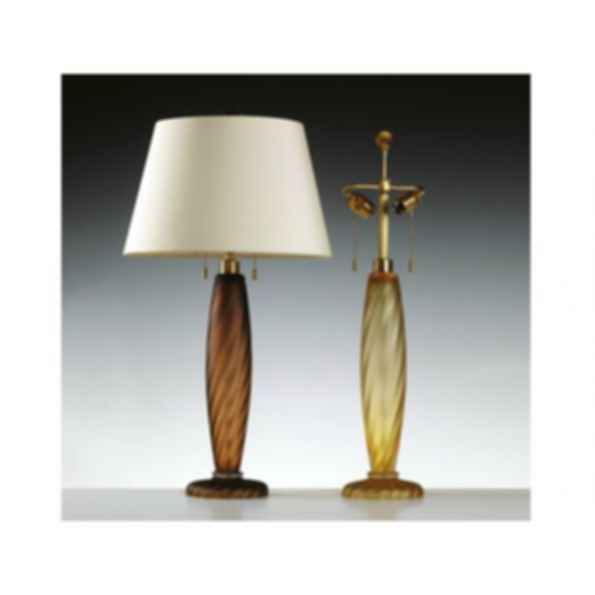 80006 ONDOSO LAMP Hollow, handblown Venetian glass lamp with brass hardware. Surface is sandblasted for colors -01 and -03. Color -02 is smooth. Maximum wattage is 75 watts per socket. The following colors are available: -01 Cognac, -02 Clear with Gold, -03 Taupe.